“Enduring” perhaps best describes ceramic tile. Not only is it a surface that endures heavy traffic beautifully, but, as one of the earliest manmade building materials, it’s a product that has endured the ages. Tile is popular for several reasons, not the least of which is the almost endless sea of options available. Just about any color, pattern, and texture can be found. In addition, tile is almost impervious to water, making it a great choice for bathrooms and kitchens. Tile may be machine-made or, in the case of high-end custom tile, handmade. The most common sizes of tiles are 4, 6, 12, and 18 inches square. 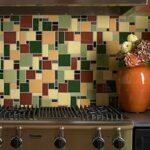 Specialty tiles, decorative strips, and mosaics prearranged on a mesh backing (typically 12 by 18 inches) add to this mix. When shopping for tile, you’ll discover two distinctive types: ceramic and porcelain. Ceramic, the most common, is made of clay baked in a conventional kiln. Porcelain, made from fine white clay fired at an extremely high temperature, is much harder and often has the luster of stone; it is quite resistant to staining. Ceramic tile may be either glazed or unglazed. Unglazed tile, such as quarry or terra cotta, has an earthy, natural look. Glazing gives a tile better resistance to water and stains and makes the surface look brighter and more vibrant. But glazing can also make tile slippery. When tile is intended for an area where this might be a problem, it pays to choose a texture that is slip-resistant. Tiles may be given any of several ratings, and it pays to check these specifications when making a selection for specialized use. If your floor will be subject to impact or abrasion, check the tile’s hardness rating. Choose heat-resistant tiles for a fireplace hearth. Because tile is heavy and brittle, it can crack unless properly supported. Before installation, a rigid, sturdy base must be prepared. This base must be very strong, flat, and inflexible. Floor joists must be able to support the load-and any additional live load-on the floor without deflecting. Wood subfloors are either reinforced with a secondary underlayment of plywood, cement backerboard, or-for a more durable application-a bed of mortar. Tile may be laid on a concrete slab using a thin-set adhesive. 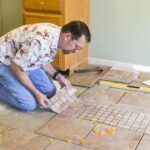 Conventional mortar-bed installation is the method used by most professional tile installers. Tar paper and reinforcing wire mesh are installed over a 3/4-inch plywood subfloor. A 3/4-inch (or thicker) mortar bed is laid, sometimes in two coats, and then the tile is adhered to this base with thin-set adhesive. 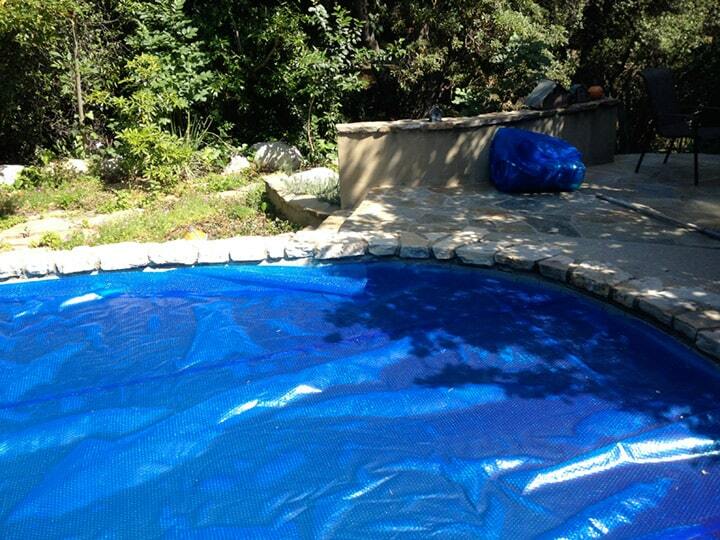 Cement backerboard provides an easy-to-install and relatively sound alternative backing for tile. It is applied to a 5/8-inch plywood subfloor with adhesive and screws, and then the tile is bonded to the backerboard with thin-set adhesive. Last, grout is added between the tiles. 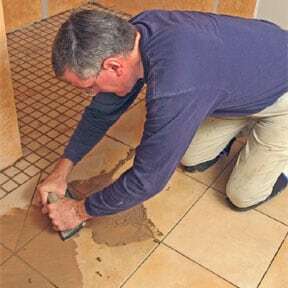 The type of grout most commonly used is a very fine, thin mortar that is sometimes colored, but epoxy-based grouts are also used, and silicone grout is often used in mildew-prone locations. Grout is porous and will absorb water and stains unless it is sealed. Mosaic tile is manufactured by adhering ceramic or natural stone pieces onto a mesh backing. Because of the limitless variety of stones, the range of colors and textures available is vast. Mosaic tiles may be applied to both walls and floors, and they are an excellent choice for areas that may get wet, such as kitchens and baths, because the surface does not become slippery. Before installing mosaic tile, make sure the subflooring is smooth; also calculate whether it is strong enough or will need reinforcing. Mosaic tiles sheets, which can be cut with a utility knife, are set in thinset mortar. 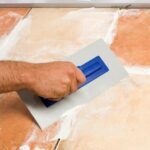 If you are laying individual tiles, use a snap cutter to make large cuts and a nibbling tool to make smaller ones. Grout and seal the tiles, and then regrout and reseal them regularly.